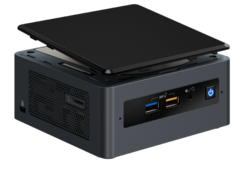 The barebones NUC with Core i5-8259U CPU is now shipping for just under $400 USD with the promise of Optane support, Hyper-Threading, and an integrated Iris Plus Graphics 655 GPU. Rumors reported earlier last month have turned out to be true. 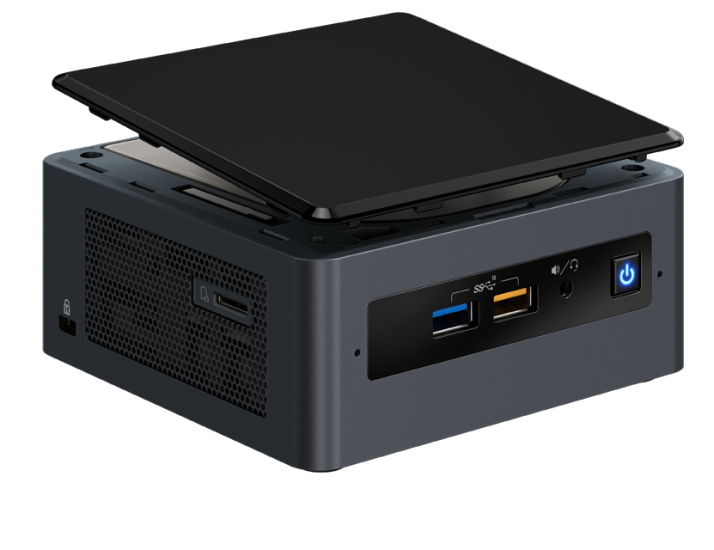 Intel will debut brand new ULV Coffee Lake/Bean Canyon CPUs on its lineup of upcoming NUCs. The CPUs follow the Core ix-8xx9U nomenclature since they all carry integrated Iris Plus Graphics 655 GPUs with varying frequency ranges and integrated eDRAM memory for increased performance over the common UHD Graphics series. The new NUCs are as follows. Note that the 'BEK' and 'BEH' suffixes only refer to the number of internal storage slots for the model and not to processor performance. All of the above CPUs will support Hyper-Threading and Intel Optane as previously leaked. Interestingly, last month's rumor claimed a Turbo clock rate of 3.7 GHz for the i3 CPU which is apparently incorrect according to Intel's now public specifications. The Core i5 and i7 barebone SKUs are now shipping while the i3 SKUs are expected to come at a later date. It's possible that these 28 W TDP CPUs could eventually become available for laptops much like how the previous generation of XPS 13 and Surface Pro systems all had Kaby Lake Iris Plus options.